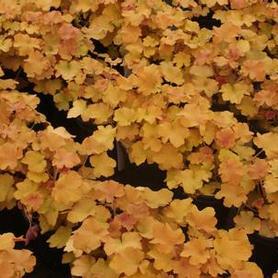 'Southern Comfort' Alum Root is a lovely H. villosa hybrid with large peachy-amber leaves, topped by ivory flowers in late summer. 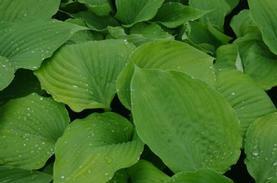 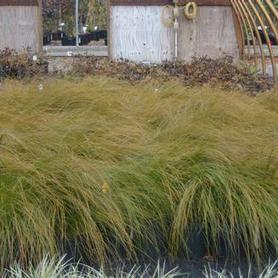 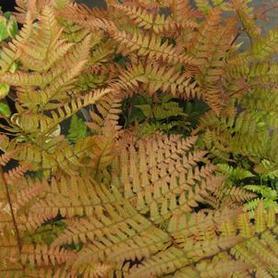 The foliage picks up copper-orange hues in the late summer and fall, and is semi-evergreen. 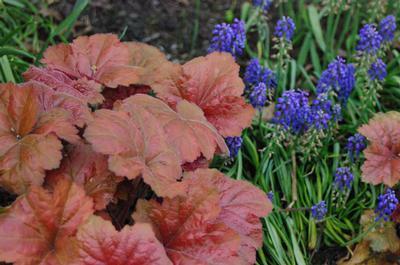 This is a large Heuchera. 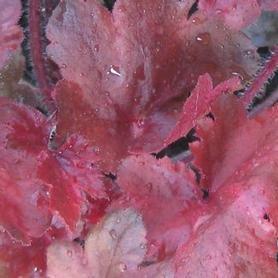 PRN Preferred: A large and vigorous grower, unique foliage color, very reliable and can handle some sun.